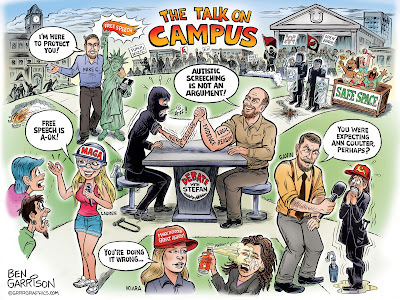 Rogue Cartoonist: "The Talk On Campus"
Here's a cartoon that sums up today's college campuses. 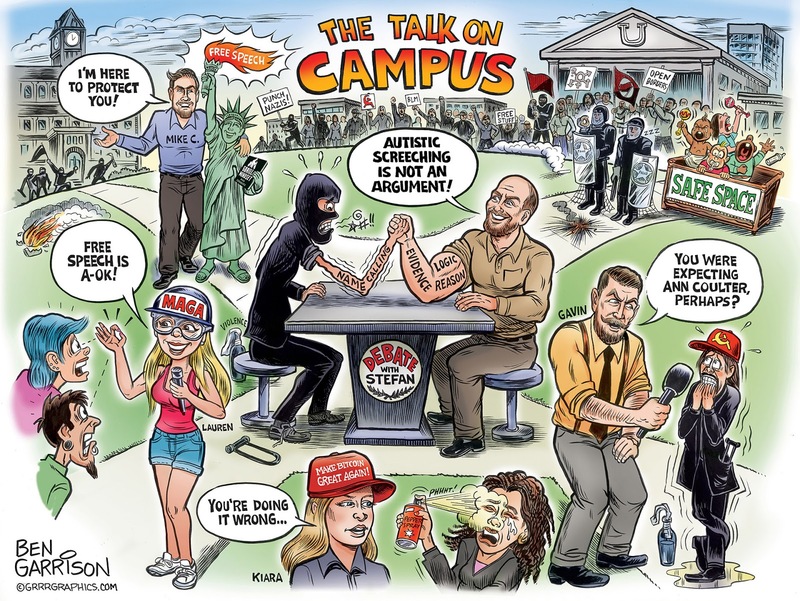 To balance out the voices on the far left who would end free speech, I've added in some voices of reason--particularly Stefan Molyneux. He deserves a special tip of the hat.